- Aina S. Olsen a vocalist from Mjøndalen began his career in 1979 in the group Black Angels. Got a record deal in Germany in 1982, but withdrew from the deal. Debuted on record in 1984 with "In Ten Pieces", an album recorded in Denmark with Phil Barrett and John Puk Quist as producers. Second album, "Target Practice", was recorded in England with Mike Vernon as producer. Aina used then dance band Image as backing the next two years. Rolf Graf was producer on "Living In A Boy´s World" which showed a more rocky Aina. Graf brought out the best in her voice, and she appeared as a successful crossing of Pat Benatar and Bonnie Tyler. Opening cut was an amateur recording that Aina had made on a tape recorder in your living room in 1972. In 1989 she moved to the United States, where she works as a costume designer in Los Angeles and calls himself Aina Skinnes O´Kane. In 2005, Living In A Boy´s World reissued with five bonus tracks on MTM Music, while a brand new album called "Little Escapades" came out on Beast Of Burden in 2008. The new release was partly recorded with musicians from the new hometown, with Chris Standring and Rodney Lee as the main contributors. - Would it surprise you that this 1988 effort from Norwegian rock vixen Aina is in fact her third release? Well it is, following on from her low-key releases from 1984 and 1985: 'In Ten Pieces' and 'Target Practice' respectively. Polygram invested in young Aina at an early age, her 1984 debut recorded when she was a mere seventeen years old. 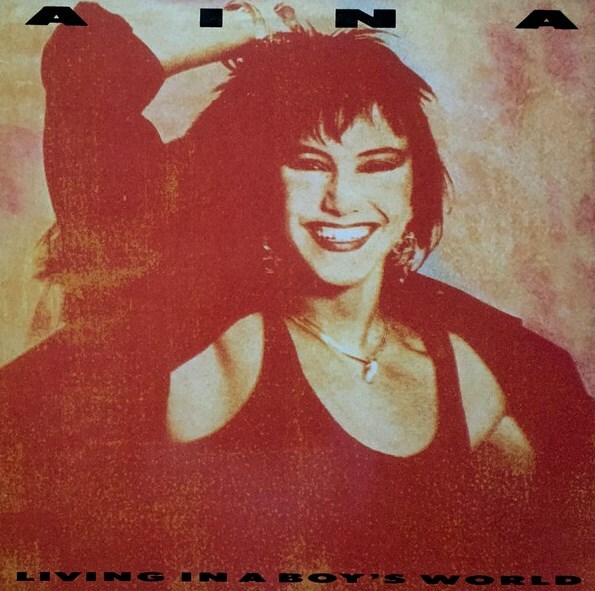 'Living In A Boys World' was a bit of closet classic back in the day, the album originally saw action as a vinyl only release in 1988 throughout Scandinavia - though of course it came out on CD many years later. The following year she moved to Los Angeles, hooked up with House Of Lords singer James Christian, even singing backing vocals on their albums. So what of the songs on her third and (to date) final release? Well, if you like heavier female fronted melodic rock in the vein of Erika or late 80's era Tone Norum, then Aina is right up your alley. The overall feel of the album is very hi-tech and 'processed'. The fact that most of the members from the Norwegian equivalent of Toto - the band Lava - get to play on this album accounts for this observation. You'll also see a few outside contributions here. Notably Paul Janz's 'Believe In Me', Torsten Flakne's 'You Babe You' and the Randalls/James Christian penned 'A Love Forever Story'. Definitely the songs which stand out are those that are heavier. 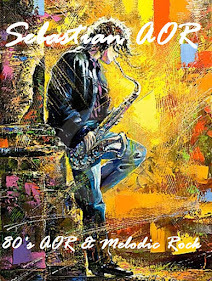 These include 'Rocks Off', 'Shot Down In Flames' the punchy title track 'Living In A Boys World' and the power-chord bruzer 'Pleasure And Pain'. The tender ballad 'I Need To Know' is a change-up moment, sort of like Tone Norum at her wimpiest. Some of the bonus tracks deserve special mention too: namely the modern but power heavy 'Save Me Father', the Zep like 'Its Raining Its Pouring' - both showcasing Aina's powerful vocals. The other three are classy AOR efforts, namely the choice cut 'Too Be To Be True'. I'm not entirely sure when these bonus tracks were recorded, but if they were recent, boy oh boy a record label should sound this lady out for more tunes like this!